What Is Oppositional Defiant Disorder? : How should parents handle a violent child with Oppositional Defiant Disorder? 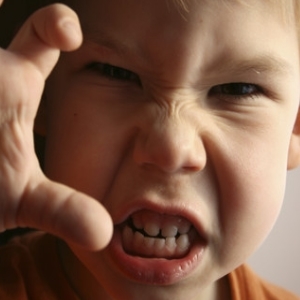 How should parents handle a violent child with Oppositional Defiant Disorder? 1. Stop being intimidated by your ODD youngster. Many moms and dads are afraid to discipline an unruly youngster for fear that he will resent them for being an authority figure. Your youngster doesn't have to like you or even love you, but he does have to respect the parent-child relationship, and realize that there will be consequences for negative actions. Recognize that you don't have to be your youngster's buddy, but you do have to be his parent. In addition, family conflicts, school problems, and community issues must be addressed. 3. Maintain a unified front. Sometimes aggressive kids know that if they engage in "divide and conquer" tactics with their moms and dads, they will be able to get their way. Thus, parents need to be unified in their parenting. If you're together, if you're unified and if you're there for each other, then all of a sudden there's strength in numbers. Don't forget to close the ranks. 4. Every youngster has currency. Use it! There's not a kid born that doesn't have currency (e.g., toys, clothes, games, television, etc.). Access to this "currency" needs to be contingent upon proper behavior. For example, if an ODD youngster throws a tantrum in a crowded store, he should not be rewarded with a toy or a coloring book. He needs to understand the consequences of his behavior. Predict the consequences of his actions with 100 percent accuracy. 5. Don't get into a power struggle with an ODD youngster. Sometimes aggressive kids know that if they struggle long enough with their moms and dads (e.g., by yelling, screaming, throwing temper tantrums, etc.) that they will get their way. Don’t fall for these tactics. Be firm in disciplining your youngster, and let him know that there are boundaries that he has to observe. 6. Acknowledge your role. When an ODD youngster is acting out, the family will blame him for the family's dysfunction. Oftentimes, you will see a family that will present a disruptive youngster for treatment ... this is the sacrificial lamb for the family's toxicity. Moms and dads should examine their own behavior, and if need be, the entire family should seek counseling.